The culture of sci-fi and fantasy has shifted. And a bunch of white dudes aren't happy about it. The Hugo Awards, which are handed out this month, are one of the biggest prizes for sci-fi. Since 2008, the number of Hugo Award nominees sunk from 80 percent to 40 percent, with top honors going to writers like Mary Robinette Kowal, Ann Leckie, and Kaja and Phil Foglio. This year, the awards were hijacked by a group of conservative white male sci-fi fans who decided to rig the award nomination process so that, in their words, books by “(insert underrepresented minority or victim group here)” wouldn't be on the ballot. As the Hugo Awards ceremony approaches this weekend, some writers are boycotting the awards. Much of the irony here is that a diversity of voices are what makes science fiction great. Speculative and science fiction aren't the exclusive domain of white, male writers. London-based Malaysian author Zen Cho is proof of this. 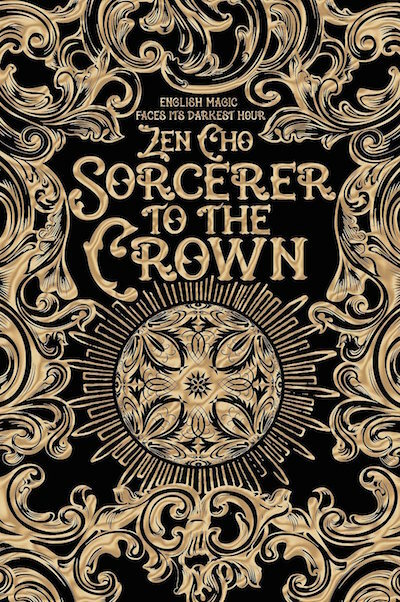 Her debut novel Sorcerer to the Crown comes out next month and combines elements of fantasy, sorcery, and social justice. The book asks questions about race, marriage, and gender as it explores a story among London's Royal Society of Unnatural Philosophers. The group is scandalized when a freed slave becomes their Sorcerer Royal. But, while racism and patriarchy underline many characters' motives and actions, they aren't the book's central themes. Instead, Cho weaves a tale of magic, mystery, and romance without whitewashing the realities of nineteenth century England. I got my hands on an advanced review copy of Sorcerer and devoured all 371 pages within two days. Then I read all of her Zen Cho's short stories available online and borrowed two anthologies that included one of her stories. Clearly, I'm a fan. I got to ask Cho about her work and profound perspective on science fiction. VICTORIA LAW. What originally got you interested in writing speculative fiction? ZEN CHO: I read a lot of speculative fiction as a kid—kids' books aren't divided up in the same way, so people who would look askance at fantasy or science fiction as adults will happily admit to reading Narnia. But I also read a lot of period fiction. I had a phase when I was burning through these beige paperback Penguin Popular Classics. They were 5.80RM per book [roughly $1.40] and they covered pretty much every 19th century British author you can think of. When you're a kid in contemporary Malaysia, Victorian England might as well be a fantasy world. Your short stories, like “Monkey King, Faerie Queene” and “Rising Lion-The Lion Bows,” draw upon Asian mythology. Did you originally intend to do so when you first started writing? What was the response from publishers? Did you ever feel pressure (real or imagined) to make your stories less Asian? It took a long time for me to work out how to write fiction for publication, and it was the problem of how to write about people like me that stumped me. Growing up I spent a lot of time hanging out with dead white people in books, so it was a puzzle to figure out how to transfer the live non-white people I knew into the same realm. Once I figured that out, I knew how to write stories. So the Asianness was part of the fabric of my speculative fiction from the start. I never seriously considered writing any other genre, except maybe romance. But the nice thing about romance is that you can include it in your fantasy. I got a lot of rejections, but that's par for the course for any writer. I did get a couple of weird responses, like editors would tell me to improve my English when I was using Malaysian English, which is not quite a patois but isn't standard English either. I guess that was pressure to fit the preconceived notions of a Western audience. I am contrary when it comes to the Asianness of my stories, though. Because it took me so long and I fought so hard to find it, any attempt to make me let go of it only makes me want to make my stories more Asian. In some of your stories, your characters are either discovering their sexuality (through some magical means) or are queer. Did you receive negative responses about writing speculative fiction with protagonists who are both Malaysian and queer? No. Not a very interesting answer! The direct responses I get are delighted, from people who are starving for stories about queer Asian people. There was an incident where a bookstore chain in Malaysia apparently refused to stock an anthology because my story, which was the first in the anthology, featured lesbian characters. They weren't even the main characters! But that was one of my rare forays into non-speculative fiction, so it doesn't quite go to your question. All the Malaysians I actually speak to about my work either actively welcome the queerness, or don't mention it. Sorcerer to the Crown, on the other hand, is firmly set in England. Why did you decide on that setting? And what made you decide to make neither of your protagonists Malaysian? Well, for one thing, “Malaysia” did not exist before 1963. And though this will probably come as a surprise if you've read my short stories, ordinary Malaysians meeting magical creatures isn't my only interest in life! I'm fascinated by the perspectives on the past that we don't hear as much—the histories we aren't told. And I've always loved Regency England as a fictional setting: Jane Austen, Patrick O'Brian, Georgette Heyer, Susanne Clarke and Naomi Novik are all favourite authors. Sorcerer to the Crown combines those interests. This makes the book sound more serious than it is. It's actually very light-hearted, but one of the things I was interested in exploring and showing in the book is the centrality of the colonial territories to the Britain of that time. When you talk about that, you have to talk about the enslavement of black people and you have to talk about the so-called jewel in the crown of the British Empire, India. So Zacharias is Black and Prunella is mixed-race and it's obvious to people that one of her parents was Indian, though she doesn't know much about her parents. You incorporate social justice questions throughout Sorcerer. Why do that rather than write an apolitical story of magic? Every story is shaped by and contains politics, so I don't know if I could have written an apolitical version of Sorcerer to the Crown. What it probably would have been instead was a story I found politically distasteful. There can be pitfalls in trying to address these issues head-on—I definitely didn't want it to be a “message” story, I wanted people to have fun reading it. And you can't cover everything off because everybody has blinkers. 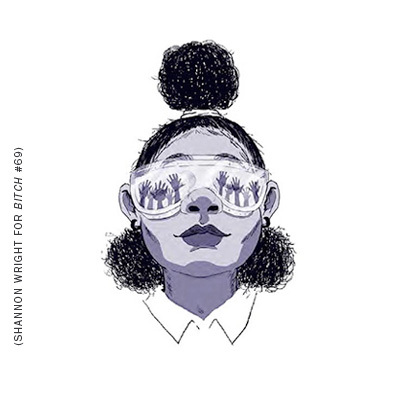 You might try to make it a feminist story and end up failing spectacularly, and people sometimes notice it more when you have tried, because so many stories don't try at all and those stories are the wallpaper of our lives. So I made it political because I couldn't avoid it. But also because I would have lost interest otherwise. It wouldn't have been an interesting story to write without those issues. Among children's and YA books, there's been a growing demand for more diversity—both among authors and book content for young readers. You write adult fiction, but in a genre that has typically been considered the domain of white writers (as evidenced by the attempts to hijack this year's Hugo Awards). 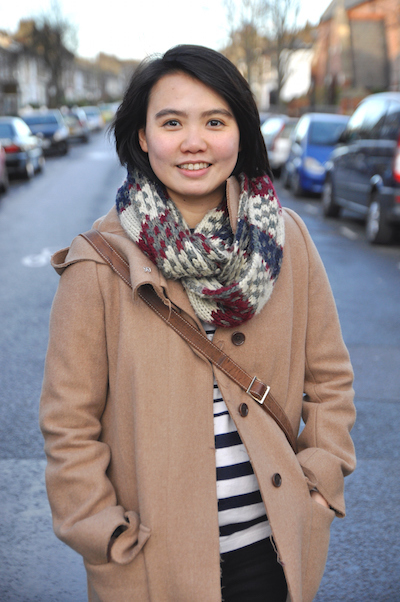 What has been your experience as a London-based Malaysian woman writer? It has largely been positive. You do face more resistance than white writers when you are from a comparatively underrepresented background. Sometimes you think, god, this field! But that makes the community and the support that you find even more precious. When someone understands your work, that's such a gift. And to have an outsider position is very valuable for a writer—you see more from this angle. So glad yet horrified that pop culture prepared me for these terrible, horrible, no-good, very-bad, troubled dystopian horror times!